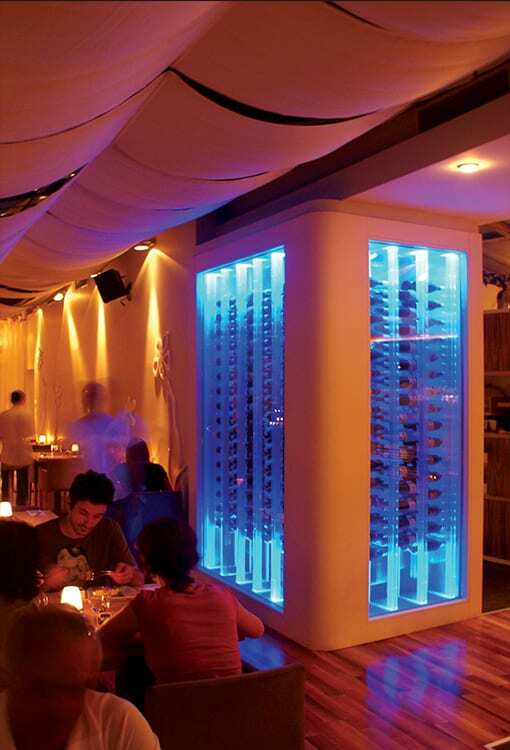 An accepted opinion on wine cellars is that they occupy too much space, and this is often the argument for smaller restaurants to choose wine cabinets, or to ignore the idea of specialised storage altogether. In reality, a wine cabinet is hardly an equivalent replacement for a proper walk-in wine cellar; the fact is that the thermal mass inside a wine cellar is always incomparably higher than that of a wine cabinet, and this in turn effects crucial temperature stability. Temperature stability is not obtainable in wine cabinets as successfully as in walk-in wine cellars. The ambition at FWC is to find integral design solutions to realise a wine cellar even when it initially seems unlikely. 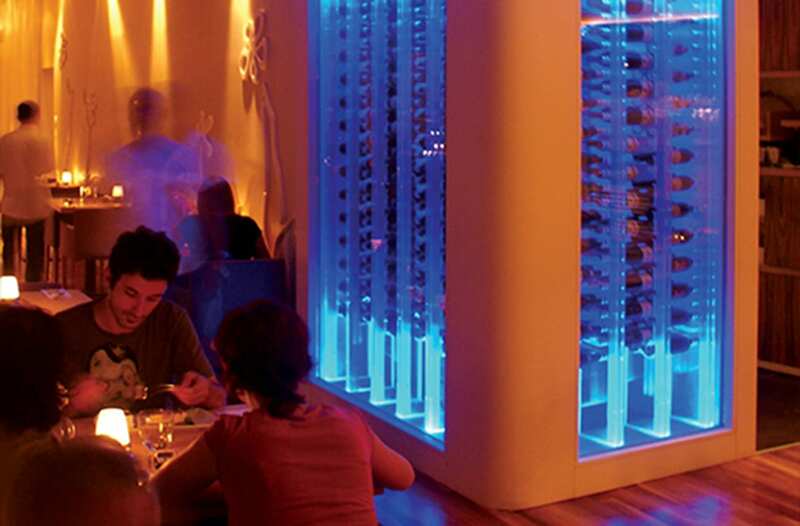 The wine cellar at Lebiderya Restaurant occupies an area of 2.2 m2 and herewith it is FWC’s smallest commercial walk-in wine cellar. The white lacquer and glass box is a subtle manifestation of the minimal design intent which is also dually functional as a separator between the dining hall and the kitchen entrance.